This summer hockey players will take a break from the warm sun and blue skies to work on their game and goals to become a better hockey player. How? Here in our home state of Massachusetts we are proud of Tom Brady’s sixth Super Bowl, and therefore rather than the five reasons to register for a summer hockey school, we added a “Tom’s Take” and now offer you SIX super reasons to increase your skills at summer hockey school! Become a better hockey player! An old coach used to say that ‘if we get better each and every day, we are going to be just fine both as a team, as well as individuals.’ We believe this to be true and carry that motto with us into all of our hockey camps. Our talented and knowledgeable instructors work hard to make sure that when the week of hockey school is over, players leave with more skill and a better appreciation and understanding of the game. Meet new friends & learn from teammates. Attending a week-long hockey school is a great way to step out of your comfort zone a bit and meet new players from different areas of the state, or even the country! While every player at summer hockey school shares a love of the game, it’s very interesting to see some of the differences in styles of play from state to state. Players who attend summer hockey school have a unique opportunity to not only learn from our talented team of coaches, but often from other players who by the end of the week, become another hockey friend! Specialized skill development. 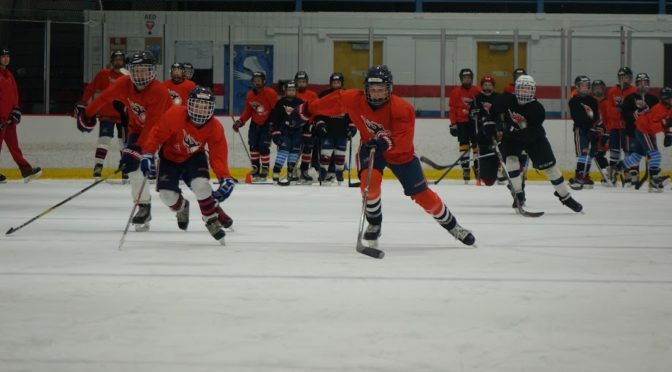 We pride ourselves at teaching the many fundamental skills needed to become a great hockey player and likewise, summer hockey camp is an excellent opportunity to work on the specific skills needed to take your game to the next level. Skating, shooting and passing are just a few of the areas we like to focus on. If you have a specific skill development need, our coaches love to talk about it at the start of the week! Setting goals. Each summer we work with players to evaluate their game, determine areas of improvement and set goals to achieve something special. Great players all set goals for themselves and then constantly remind themselves of their goals and progress towards reaching them. 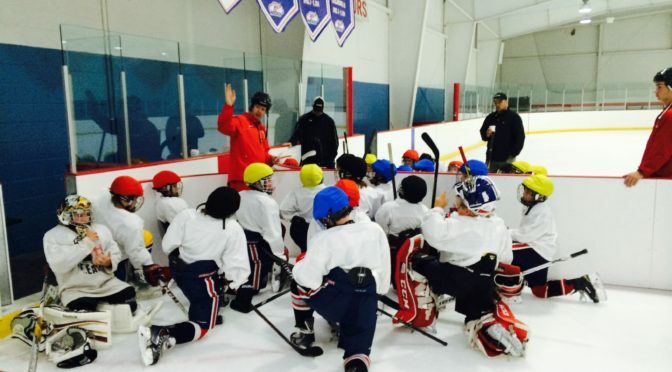 If you come to summer hockey camp with clear goals, you are well on your way to success! The CARTER Method. For 25 years we have been teaching hockey with the CARTER Method. We are very proud of the success that we have achieved and look forward to developing the next generation of hockey players with this time-tested method of development. This is a great reminder that hockey development is a marathon, not a sprint. It is also a testament to working hard, dedication and perseverance. You may not be on the first line today, but if you set goals and dedicate yourself to achieving them, anything is possible, even six Super Bowls! Thank you for reading and we hope that you continue to follow your hockey dreams this summer at one of our hockey camps located in ten states! For dates, locations and registration information, click here. Sure, every player wants more playing time! However, wanting isn’t good enough, you need to earn playing time and here are four tips to work your way into more playing time. 2. When you aren’t getting the ice time you want or thin you deserve, there are two directions you can go, and the best players know that attitude determines altitude. Coaches like players that are plugged in, listen and are coachable. Great coaches pride themselves on developing hockey players as much as they do in winning championships. If you are a coachable hockey player you stand a great chance of improving and earning that playing time! 3. There is no substitution for hard work. We have discussed this in recent articles and the bottom line is to earn more playing time you need to put in the effort. Most often the best players that you see in the games are also the best players in practice and the first ones onto the ice and the last ones to leave. As they say, the only time that success comes before work is in the dictionary! 4. Character counts. That’s right, as you progress through your youth hockey career and players start to separate themselves, character is something that is discusses among coaches. Players who are great teammates and have great character are always going to find a way to be successful. What you do on the ice can get you noticed, but how you carry yourself off of the ice can get you forgotten. Thanks for reading and good luck as you head towards the final stretch of the season and into the playoffs! Please considering joining us this summer at one of our summer hockey schools located in ten states! For a complete listing and registration information click here. Summer Dreams – Dream Big! A big part of the enjoyment of training hockey players all summer is helping them reach their full potential. And when it comes to dreaming big about hockey careers, we’ve learned to never count out anyone! – Atlanta Braves second baseman Ozzie Albies is 5′ 8″. He has 20 homers this season. – Cleveland Indians second baseman Jose Ramirez is 5′ 9″ and 165 pounds. He has 29 homers so far this season which is tied for first in the American League. – Mookie Betts, a right fielder for the Boston Red Sox, is also 5′ 9″. This season he has hit 23 home runs. Last season he hit 31. – Often described as the “best inch-for-inch hitter in baseball” Jose Altuve is 5′ 6″. Altuve is a three-time batting champion. He has hit 24 home runs in both of the past two seasons. All of these players made it to the top of the game because yes, they have a ton of talent. But they also overcame coaches, so-called experts and scouting reports claiming they were too weak, too small or too whatever to make it to the next level. But you know what? They made it to the next level. Why? Because they never game up on themselves! This summer as you are training and working hard to become a better hockey player you have a decision to make. Are you going to listen to what others might say about your talent or physical stature – good, bad or otherwise – or are you going to stay focused on your training and your goals and overcome the obstacles. You have to believe in yourself before anyone else will! A great coach once told me that you can’t ever let anyone control your destiny and that ‘if it’s going to be, it’s up to me”. As you progress through this summer and increase your strength, stamina and skills remember these lessons, and find some inspiration from these ‘boys of summer’ that not only made it to the Major Leagues, but became All-Stars! Whatever your summer dreams, dream big, work hard and never give up! The top players in hockey are the best for many reasons, including possessing above average skill, but in addition to the talent, the best of the best also are the most driven to learn, develop and succeed. As you work hard to improve your game over the next few months, keep in mind the following list of intangibles that will help you make successful strides this summer! We love players with desire! Desire to learn, desire to work hard, desire to go the extra mile, desire to be a leader, desire to be a great teammate. Players with desire are a coach’s favorite and the ones they rely on in key situations. Players can’t be afraid to make mistakes, especially at summer hockey school. This is the time to work on areas of your game that you have been compensating for during the season. 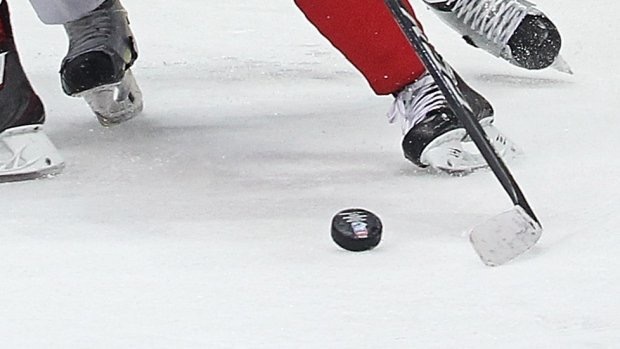 Try that new move around the defense, take a snap shot rather than a wrist shot, try a deke on the goalie rather than firing the puck right away. Summer is the best time to not only work on new moves, but to incorporate them into your game so that when the season hits, you are ready to win! When we talk about the CARTER method of training we incorporate six key areas that build a solid foundation for players: Control, Agility, Reflex, Technique, Edge, Retention. Players of all ages and talent levels need to increase their skill, and hard work is the best way to accomplish this. Similar to discipline, dedication is the commitment to the game of hockey, and not just during the fun times (games!) but more importantly, during practices and training, both on and off the ice. If you are both disciplined in your approach to the game, and dedicated to your goals, the sky is the limit! We look forward to seeing you at the rink this summer. We have camps in ten states over the next few months and it’s not too late to register! Click here for last minute registration opportunities.